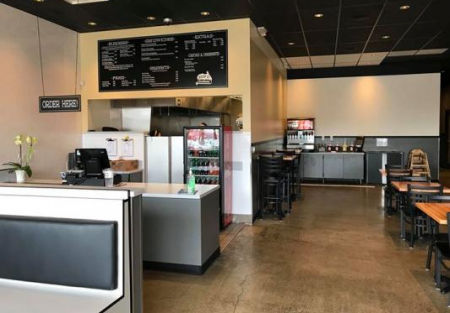 Burger restaurant in Hayward with full kitchen and Long type 1 hood. Spacious dining area with plenty of seating, high ceiling, and lots of parking in shopping center. Lease is $8200 with long terms on lease. Monthly sales at $60,000. Approximately 2100 square feet with ADA restroom. Some of the equipment included are deep fryers, grease trap, ice machine, 3-compartment sink, mixer,prep table, , 2 door freezer, flat griddle, walk-in cooler, prep sink, hand sink, mop sink and much more! !